Should I print it twice or should I scan it for a safe copy instead? Should I photocopy or should I upload the file and send the link to them rather? Have these thoughts occurred to you? Most dilemmas in documentation boil down to one question, which is the most ideal, secure, and fast? — paper documentation? or electronic documentation? To answer the question, we have prepared a handy infographic to compare the two in terms of shareability, safe copies, backups, and so on. 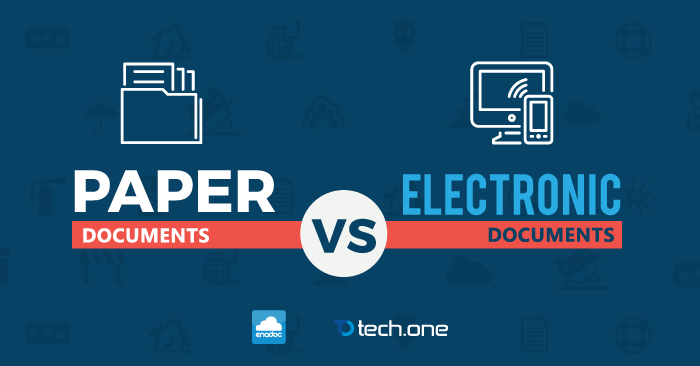 Without further adieu, here it is, which is the best documentation practice — paper or electronic? 1. Search – Never lose a file again. 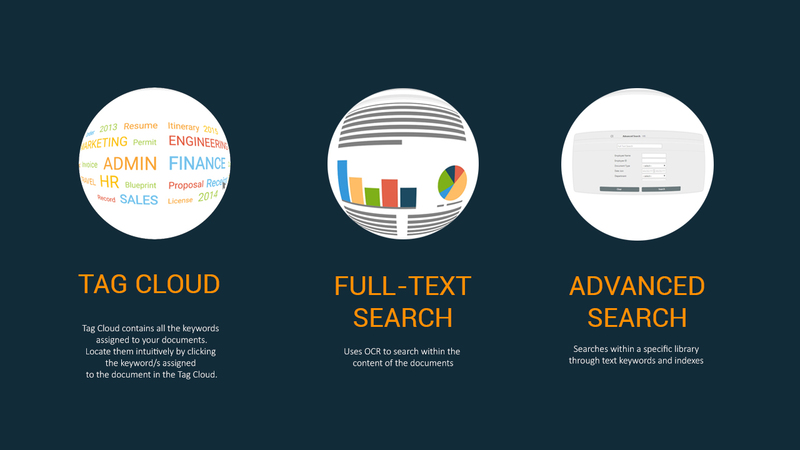 Enadoc showcases three innovative and tested-and-proven techniques to help you search your documents. 2. Security – When it comes to security, Enadoc has three-tier protection from unauthorized accesses. Here is Enadoc’s Security Management. 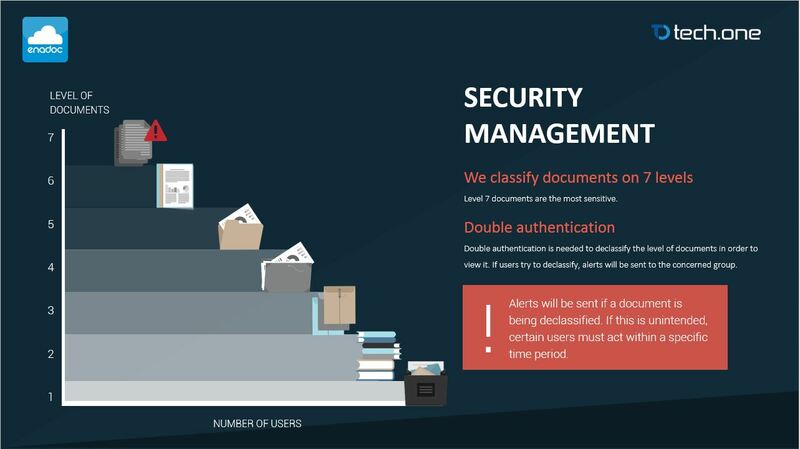 On Enadoc, we classify a document on 7 levels where level 1 is the tier which can be accessed by virtually everyone, and level 7 is where the document is the most confidential. Users can be assigned from 1-6 levels. 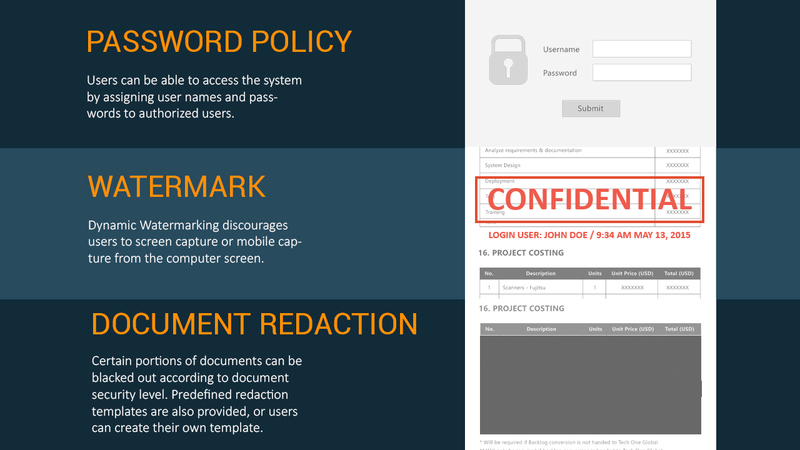 Only users in level 6 can secure to or request for a declassification of a document from level 7. For more information about Enadoc security, here’s our whitepaper. 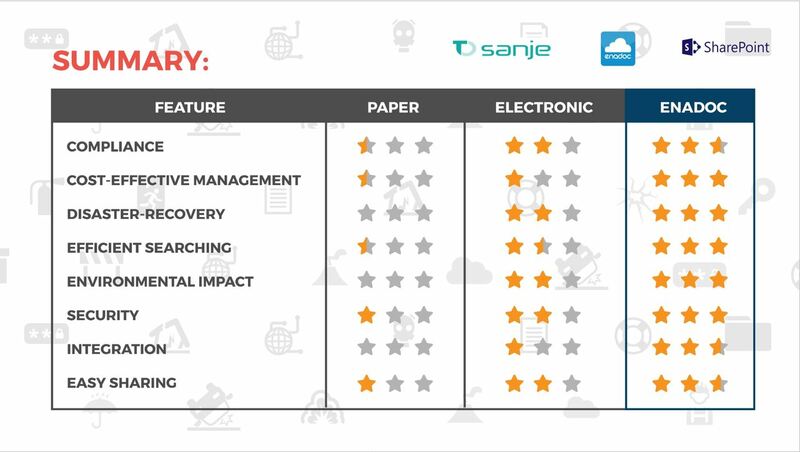 With Enadoc, it surpasses what Electronic Documentation can do. Enadoc, with its always updated compliance; cost-effective management through SharePoint solutions; disaster-recovery via server backups; efficient searching through the innovative Tag Cloud; security via 7-tier and hexagonal security, fast integration and sharing. So when the question whether to use paper or electronic arises, the answer is Enadoc, the innovative document imaging. Visit our LinkedIn page and Facebook page for more info. About the Author: Zeus is a musician, food enthusiast, and a social media specialist based in Tech One Global Philippines.